Need some new ideas for your family’s Chanukah table? 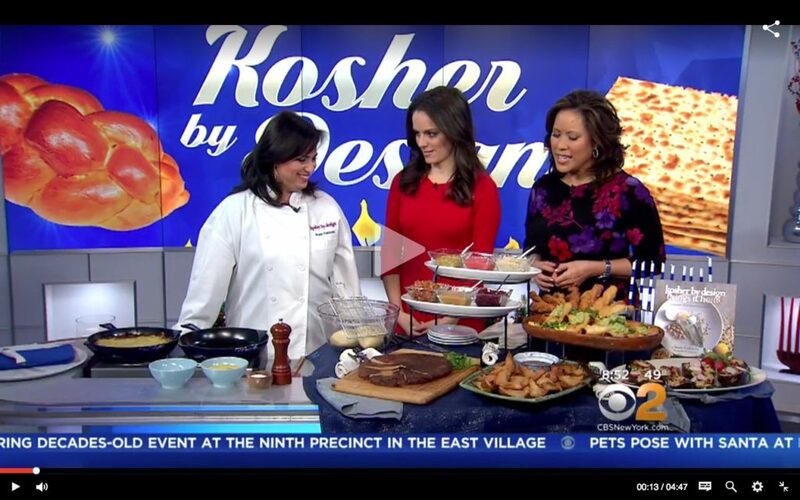 CBS2 aired a segment on Susie Fishbein’s Chanukah table. Some dishes include sweet potato wontons with Asian dipping sauce, Mexican chicken flautas with creamy avocado sauce, glazed doughnut twists, and a giant latke potato kugel. Get the recipe and watch Susie Fishbein demonstrate how to make her potato kugel here. Want to learn more of Susie’s recipes? Join us at the Susie Fishbein and Friends Culinary Institute at Camp Shoshanim this summer!